Just thinking about the mathematics alone is causing smoke to jet out of my ears. There is little to no explanation that I can decipher due to the fact I only speak French and English (like a chump). Otherwise, I'd wax poetic about what an incredible feat of technical prowess this is while also serving up a few details. From what I can tell, custom software that communicates with the Kinect is able to somehow accurately gauge the velocity and trajectory of a crumpled up piece of paper which then moves a trashcan hooked up to a series of servo's and wheels placing it in the exact spot the paper will land. So, in other words, bwaaah?! 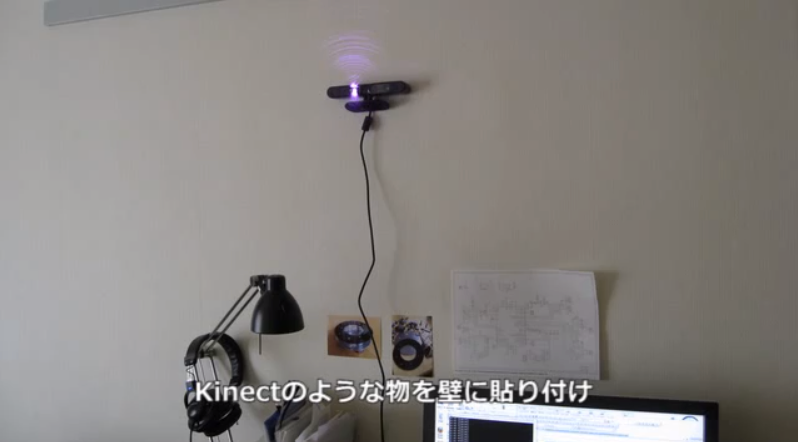 Treat yourself to some Kinect yumminess and check out the video.